Please register in order to view this content. 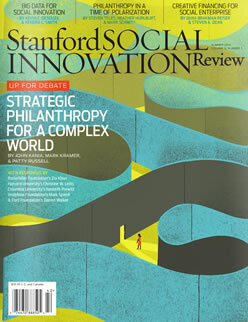 © 2019 Stanford Social Innovation Review and the Stanford Center on Philanthropy and Civil Society. All rights reserved. Unauthorized use, duplication, or sale of this service, or data contained herein, is strictly prohibited.